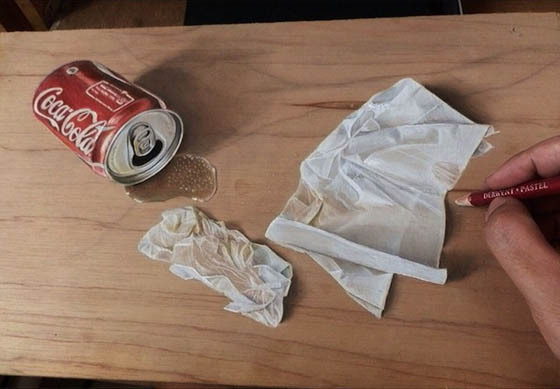 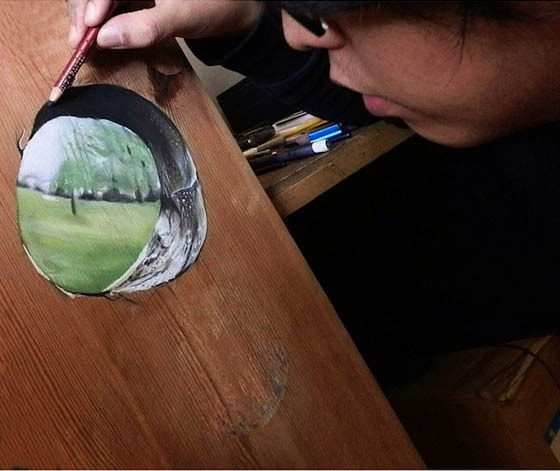 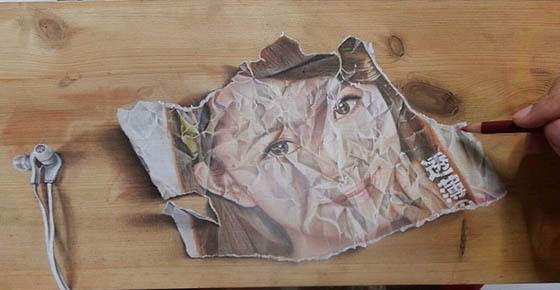 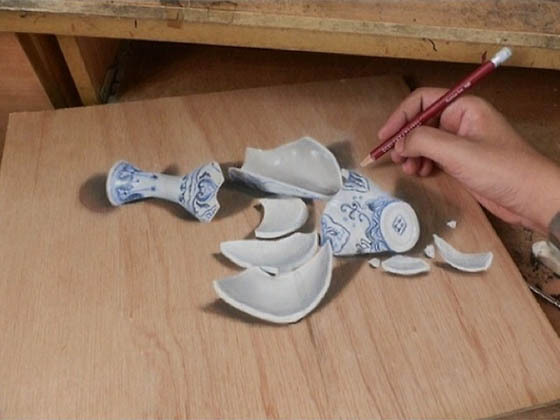 Using pencils and pastels, Singapore-based artist Ivan Hoo created hyper-realistic anamorphic pieces that fool your eyes. 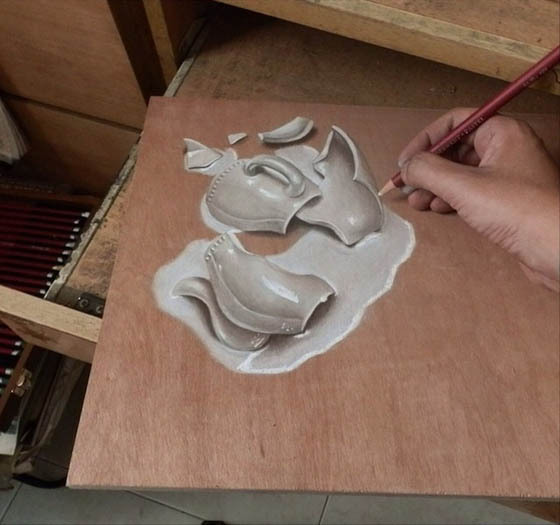 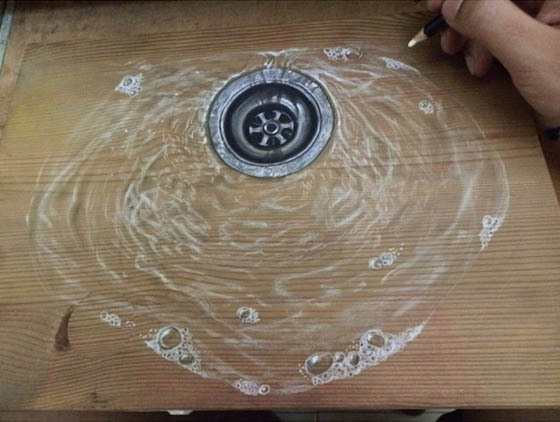 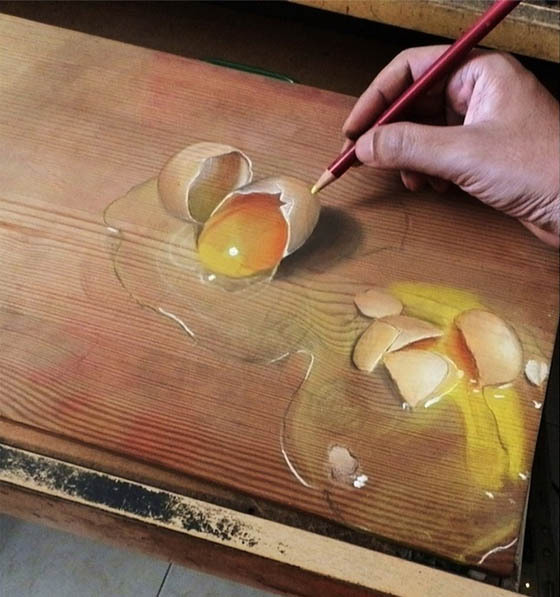 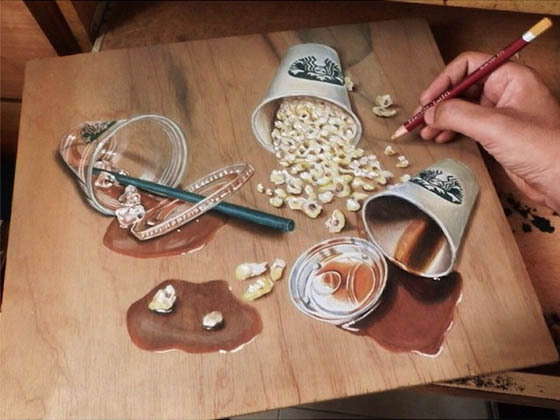 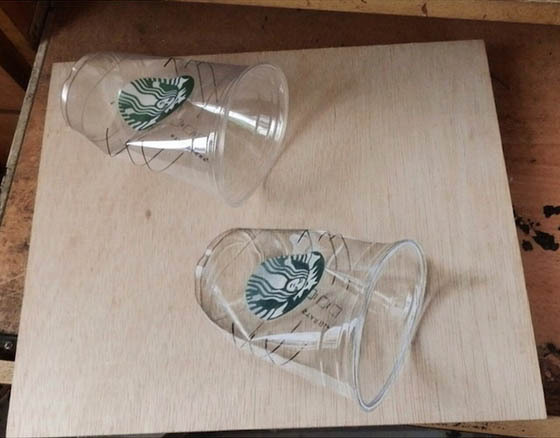 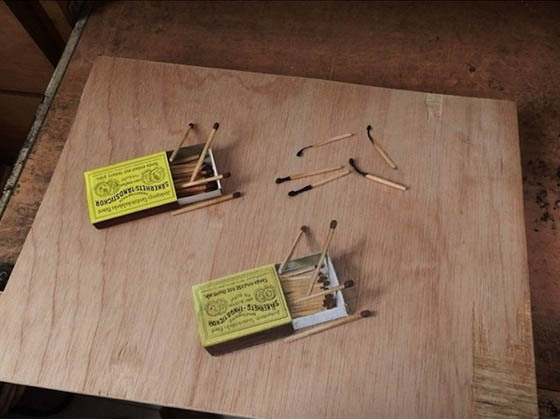 The skilled artist plays with optical illusion to draw everyday objects like cracked eggs, spilled coffee, draining sink and broken vase directly on wood, which has such feeling and dimensions that it’s difficult to tell they aren’t real. 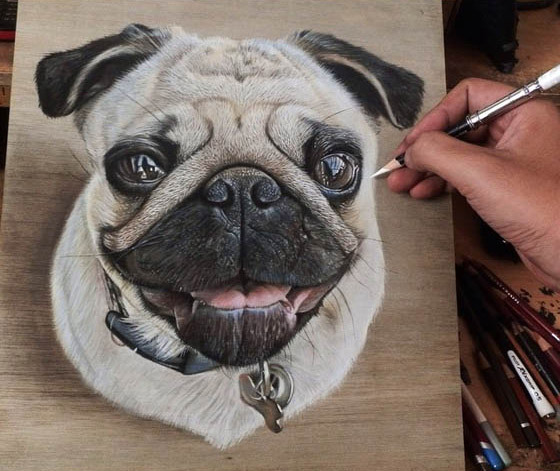 When asked why choose wood as medium, artist said “By working on wood, it gives me a lot of dimension and ideas to create something close to reality and it works really well with pastels, too.” Below are some of our favorite works from Ivan, you can find more on his Instagram page.